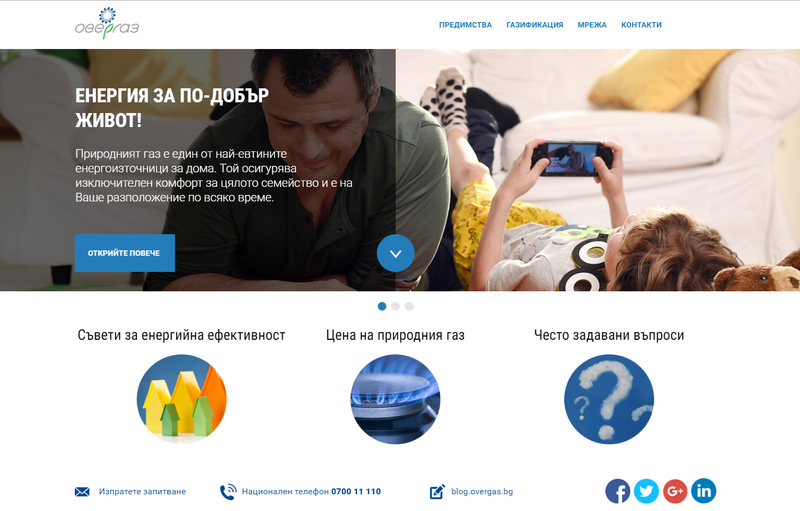 Design and development of the website Gas.overgas.bg for the information campaign “Why aren’t you on gas?” launched by Overgas. The goal of the campaign is to highlight the benefits of the natural gas and that heating with natural gas costs less than other home heating options. 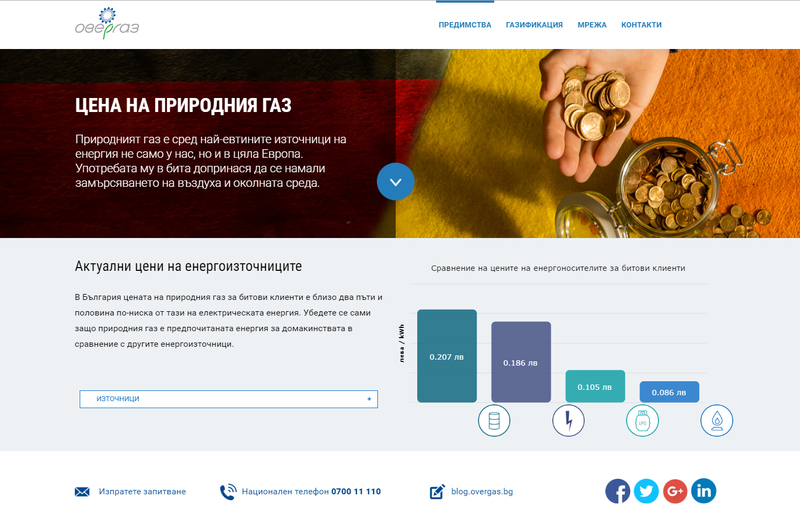 We delivered a website with responsive design that clearly communicates with visitors in order to represent the campaign message and to increase inquiries. 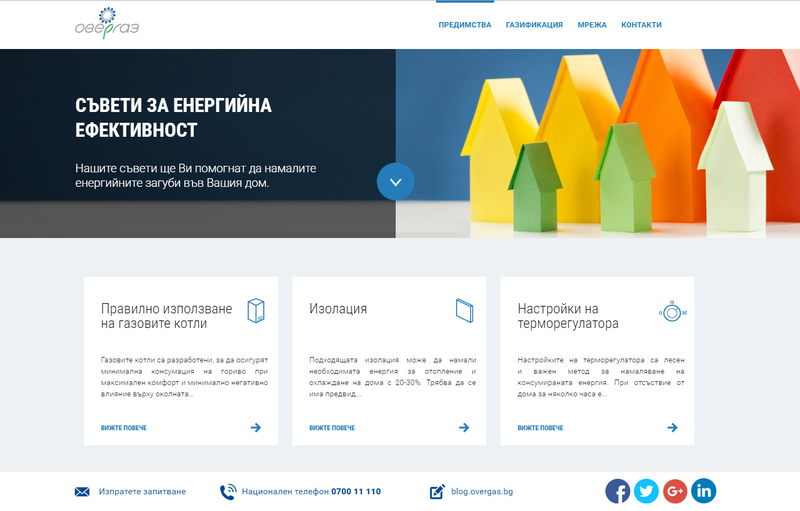 We also launched an integrated marketing campaign across several channels to raise awareness of the brand and the marketing initiative – television advertising, BTL activities, online advertising and Google AdWords, Facebook and YouTube ads.